Growing in Grace Podcast: 651. 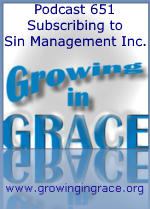 Subscribing to Sin Management Inc. When many Christians consider repentance, it is usually viewed from the perspective of turning from sin. In essence, what they are really saying is to focus on reducing your sin count. This is not how repentance is defined. Less sinning is always going to be a positive thing for you and those around you. It’s simply not a part of the new righteous and holy nature that abides in you. However, falling into the trap of “sin management” will potentially cause us to chase after the flesh, develop a mindset of self-righteousness, and lead to boasting in ourselves while judging others who fall just as short as we have. Other than Jesus, nobody has ever been able to equal the requirement of perfect behavior as it was reflected through the law. Not one … before the cross or after. 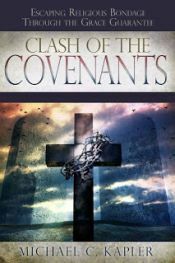 There is a better place to abide than working at managing your sin count, and that is with the power of grace found inside of a new and better covenant—where the Holy Spirit will remind us of God’s unconditional love, and that we have been gifted with His righteousness as a new creation in Christ.